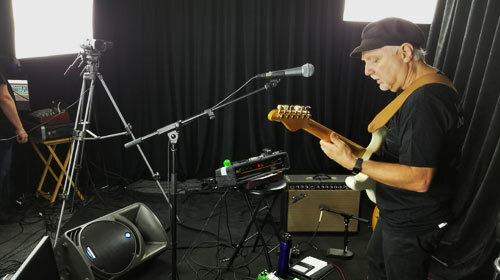 Beginner to advanced, acoustic to electric, blues to country... we have the courses and lessons you need to move your playing forward. Featuring 89 instructors spanning 20 different genres, we have spent the past 11 years building one of the largest resources of guitar content on the planet. Having serviced over 500,000 subscribers from over 220 countries, we are proud to be a worldwide leader in guitar education. 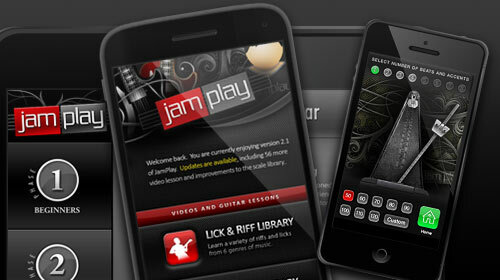 A JamPlay Membership gives you access to all lessons and courses from every teacher we offer. 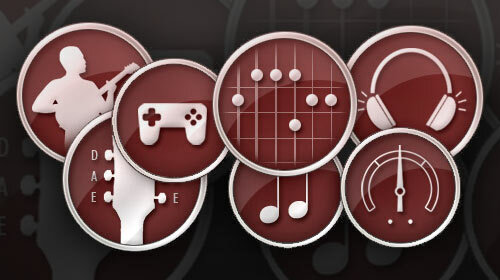 Additionally, get access to our Live Course platform, song library, teaching tools and libraries. Cheaper than Netflix.. for a limited time. 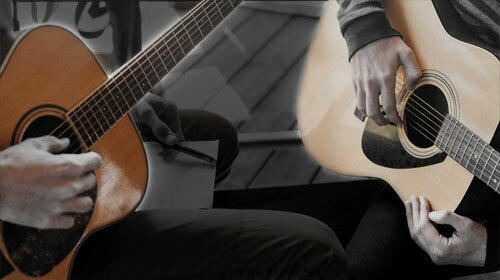 We have spent the last years building our catalog, which covers every style of guitar. 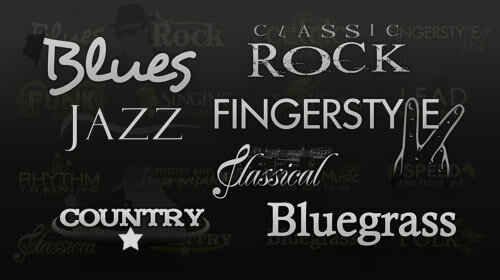 Blues, Rock, Funk, Classical, Jazz, Flamenco... just to name a few! 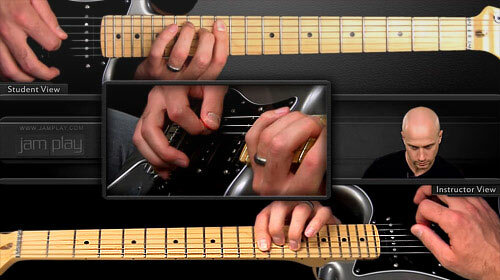 Record yourself taking our guitar challenges, have your playing reviewed and earn badges. 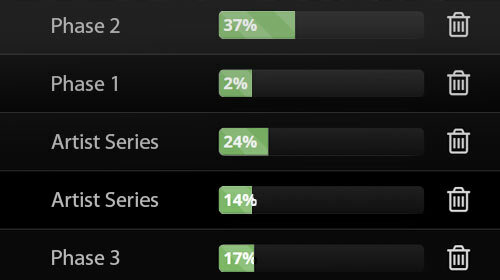 Exclusive to JamPlay, get feedback from real teachers, yielding real results. iPhone, iPad, iWatch, Android, Amazon and more. We also support mobile technologies via browser, including Chromecast, Apple TV and Internet Ready TVs. Automated progress for any lesson you watch. Keep yourself organized and track progress as you move through a course. Easy to maintain, simple to use. Knowledge is key, experience is paramount. While learning from 1-on-1 lessons proves beneficial, neglecting the opportunity to learn from a variety of world classes musicians is a bit myopic. View our current roster below, with more being added each month. The Bombastic Meatbats Mogg/Way, JKB (Jeff Kollman Band), The Sign Of 4, and Edwin Dare. 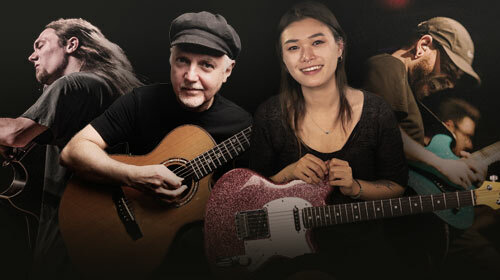 Stream all Master Courses with your Membership, including artists such as Aaron Marshall, Yvette Young, Phil Keaggy and more. We are currently signing more artists coming for 2018... many whom you are sure to recognize! 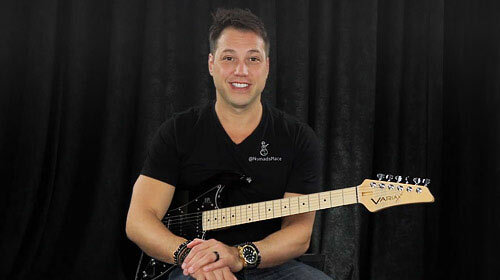 Get started today, as there is no better time to lock in a full year of the pinacle of guitar education.